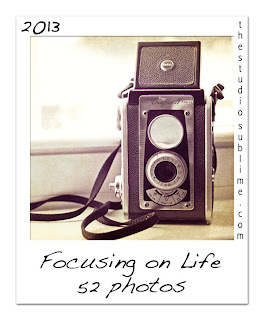 It's Week 2 for Sally Russick's "Focusing on Life: 52 Photos". Our prompt for this week is: Your Word. Okay,...this week was way more challenging than the first week for me. I started thinking and writing down words last weekend when Sally gave us the prompt. She said we could write out the word or photograph something that represented the word. What ever we wanted. Your Word. My word. One Word. Just One Word. So many people chose their 'word' for the year,...their mantra, what they focus on, what helps them get through things, gives them strength, etc. Not me. I've yet to be able to pick just one word for an entire year (maybe for a week or a month, but not for an entire year!) and it's probably the same reason I don't have a tattoo (other than I'm not real partial to pain or needles!). I can be indecisive. At least on some things anyway. There's so many words right now that seem to resonate with me for 2013. So, this "Your Word" thing had me totally baffled. I want to connect more with my family on a deeper level. Connect. I want to be present, live in the moment, take it all in: Present. Aware. Live. Listen. Absorb. Breathe. I'm working to manage my time better: Organize. Streamline. I want to accept changes more easily and move forward: Accept. Change. Forward. I want to create more: Create. Inspire. I want to earn more: Abundance. Gratitude. I want to learn new things: Learn. Grow. Thrive. Reach. Fearless. Jump. I'd like to be more gracious in all I do: Grace. Acceptance. I feel more comfortable in my skin these days, but I'm still doing a bit of soul searching and trying to listen to my heart more: Soul. Search. Heart. All great words with equally personal and deep meanings. In this moment I feel ready to connect; to be present and aware. To live, listen and absorb things around me and to organize my time and streamline my life. Ready to accept change and move forward without fear and to create more and inspire others to create as well. To be more thankful for the abundance of things in my life such as my family, our health, our home. I'm excited to learn new things and grow and thrive in areas not yet known to me and to reach fearlessly out of my comfort zone and jump in with both feet. I'm eager to search within my heart and feed my soul. I'm ready to do these things with grace and acceptance of who I am and who I want to be. Inhale. Exhale. Breathe. Relax. Enjoy. Don't know what's in there. Don't know where it's going. But like me, it's Ready! *Please sail on over to the Studio Sublime today and catch everyone else's WORD! Yup! You're right! Nothing will come to you until you are ready for it! Am really enjoying this challenge...at least so far. Its already given me insight into my life and dreams! what a great word for the year! A great open ended word to live by. I am sure it will work out well for you. What a beatiful photo. It does make me think of heading out into the world, ready for whatever life brings. A beautiful photo and a wonderful word for the year!! Like you, I find it difficult to choose one word for the year as there are so many good ones. Thanks for sharing your process for choosing yours. What a great photo ... looks like someone living on the edge!! You're right - so hard to boil it down to a single word, and a word for an entire year! But you did a great job of getting it down to a focus for the year!! 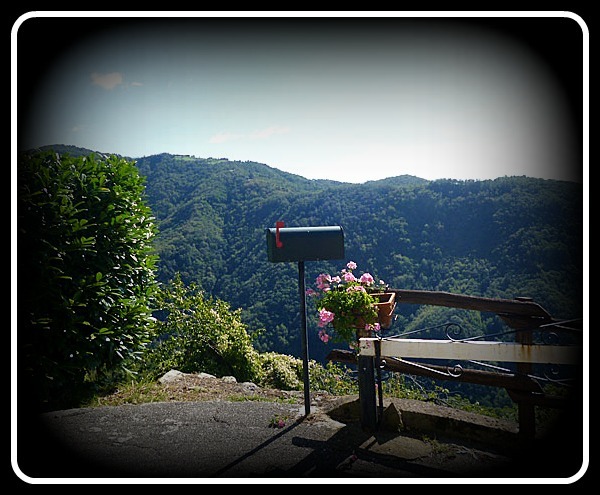 I'll never look at a mailbox the same way again! Yup, it's ready! Oh - I love this picture! It is perfect for how you are feeling! It really is more than just one "word", isn't it?! Great post! What a perfect word! So many things you want to accomplish but you have to be ready in order to start. And the photo is a perfect interpretation. I see it as heading out on the journey this year is going to be. Wonderful word to describe all the aspects of your life, Ready! I love this post, Shel! I am inspired to be ready after reading it. And your photo is just perfect! I like ready... it leaves you open to go anywhere and do anything! Shel, what a beautifully written post! After reading it I feel like I'm right there with you READY to take on anything. You are so inspiring and your photo represents your word(s) wonderfully! Oh yes you are ready!!! Who knew there was such a perfect word to encompass all of your other words! Great post Shel -- very inspiring. Love that photo!! !